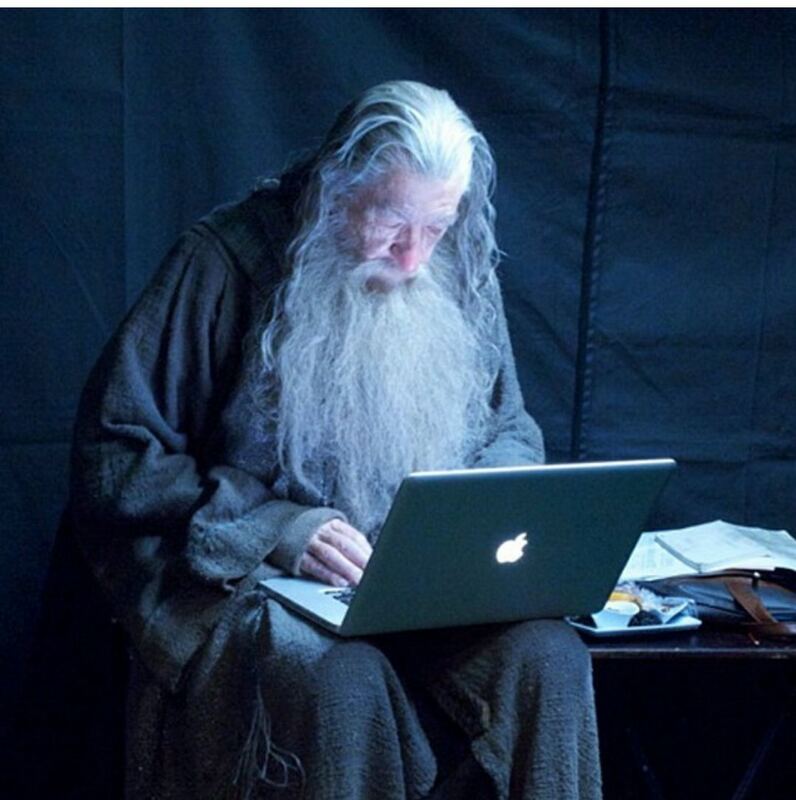 Gandalf the Grey, checking the Book of Faces. Behind the scene of The Hobbit: An Unexpected Journey. HD Wallpaper and background images in the द हॉबिट club tagged: photo the hobbit an unexpected journey behind the scene bts gandalf ian mckellen. This द हॉबिट photo contains लैपटॉप and लैपटॉप कंप्यूटर.